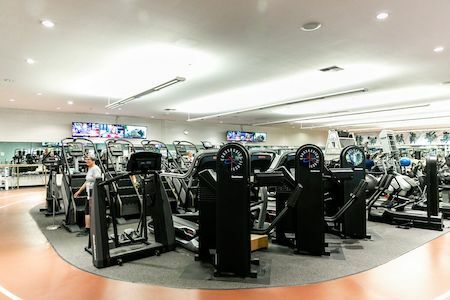 Our state of the art conditioning room houses a wide variety of equipment from Cybex, Precor, Hammer Strength, Life Fitness, Stairmaster, and others. 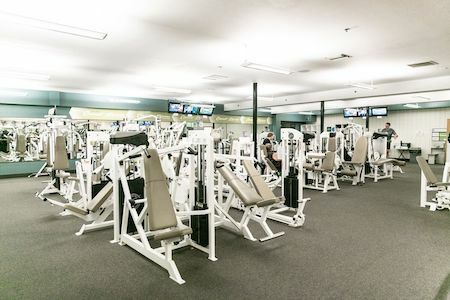 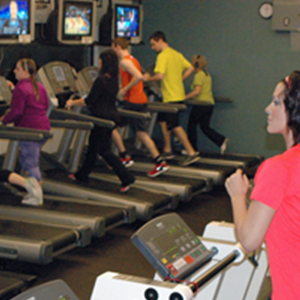 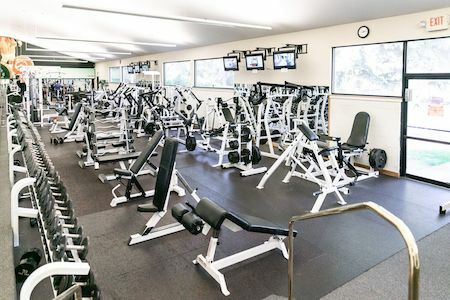 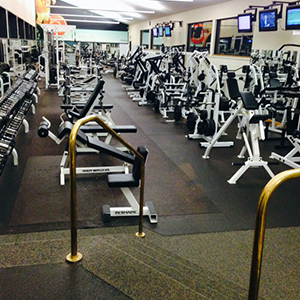 We have separate areas for cardio, circuit, free weights, stretching floor, and a treadmill room. 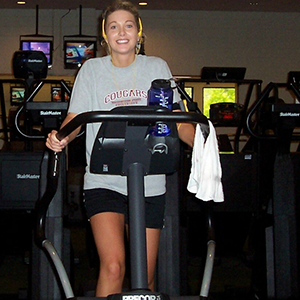 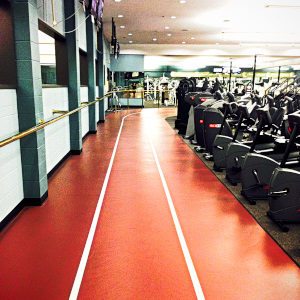 An indoor walking and jogging track provides members a rain free workout during the winter months. 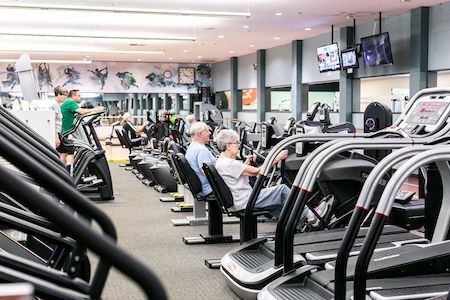 We also have specialty equipment, including a Brewer’s Ledge climbing wall, Vermont Waterways Paddling adaptor, and Quadmill. 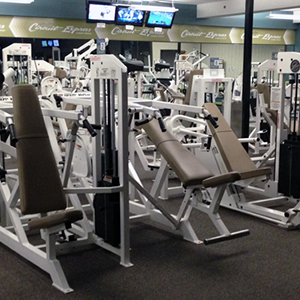 We are constantly adding and updating equipment. 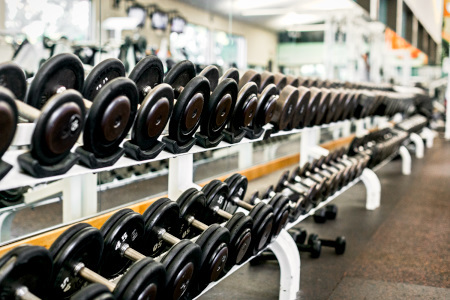 New to strength training or wondering how to use a machine? 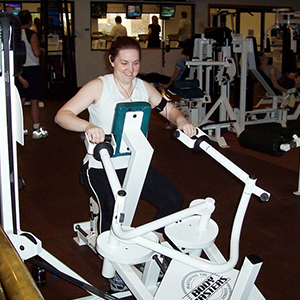 Our friendly and professional staff is always available to answer questions. 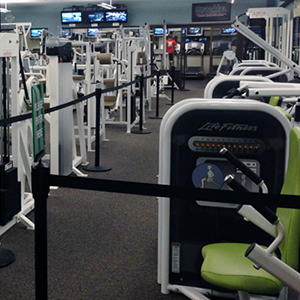 A complimentary orientation is included with your membership. 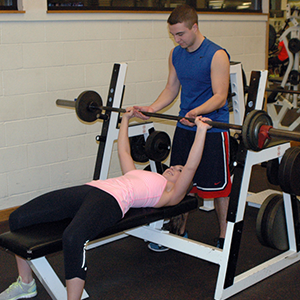 Trainers will orient you to the equipment and set you up with a personalized training plan. 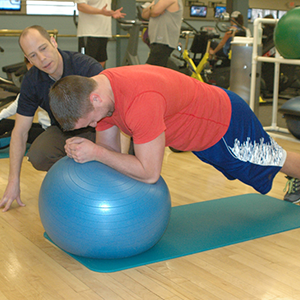 If you’re interested in more individualized attention or need someone to help you stay motivated we have certified personal trainers on staff to help you achieve your fitness goals.